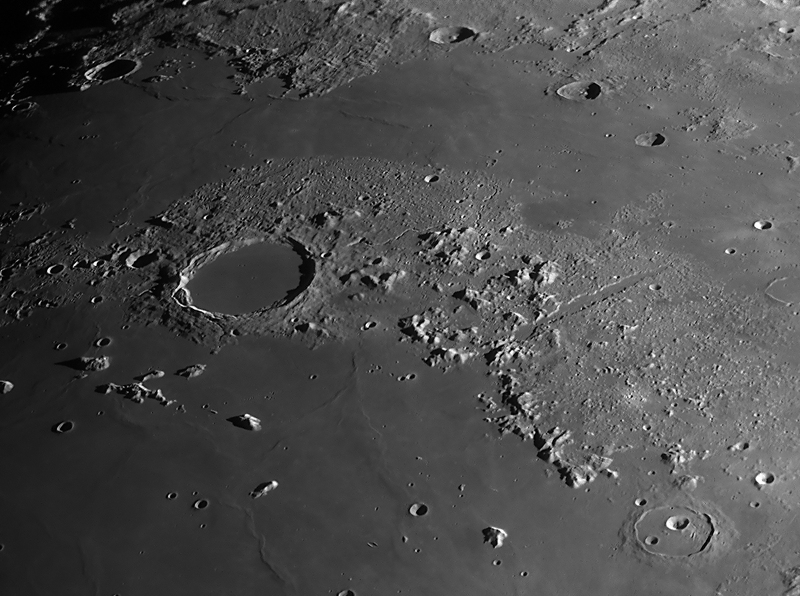 The 17" Planewave Astrograph is not the favorite choice for lunar and planetary imaging due to its large obstruction. Nevertheless, with a good seeing we could reach some good results. 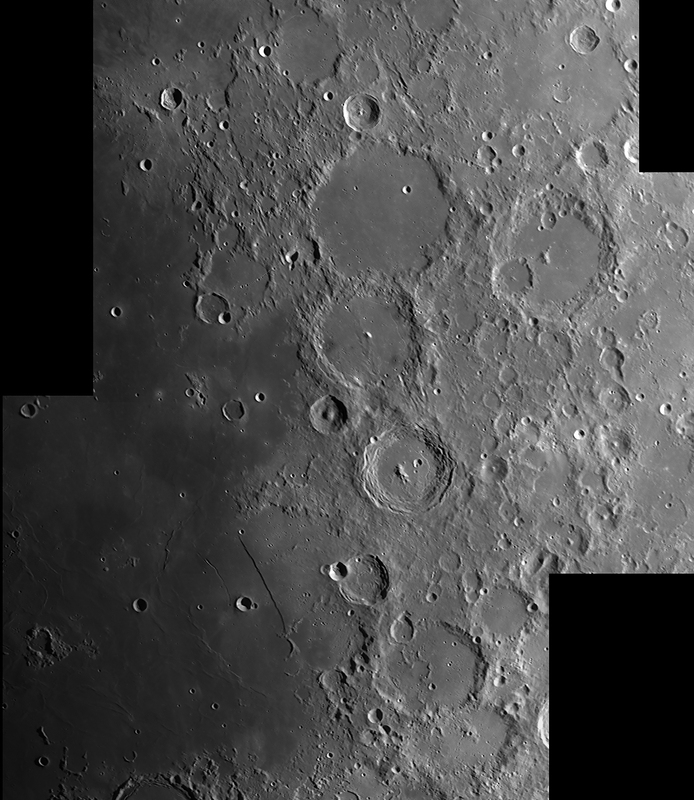 Also the 130 mm Zeiss APQ allows for high resolution mosaic images. 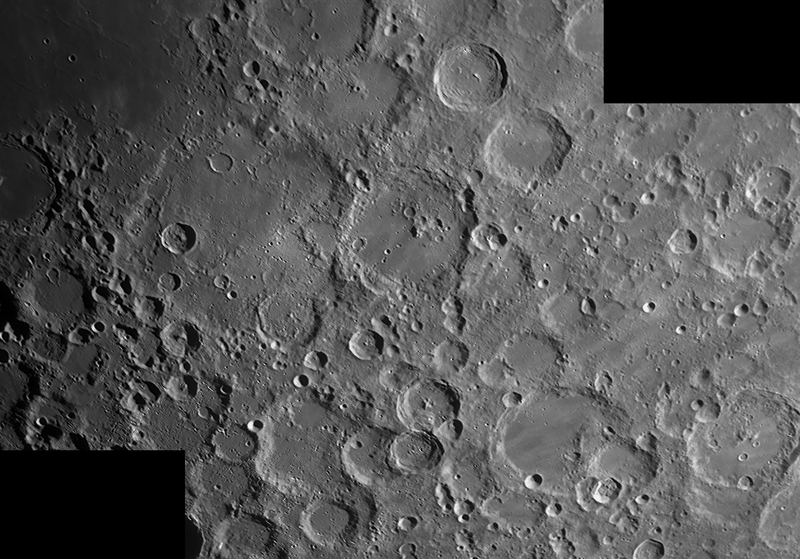 The 12-frame mosaic was captured on November 12, 2014 (18:00 UT) with the 130mm Zeiss APQ. The focal lenth was extended to approx. 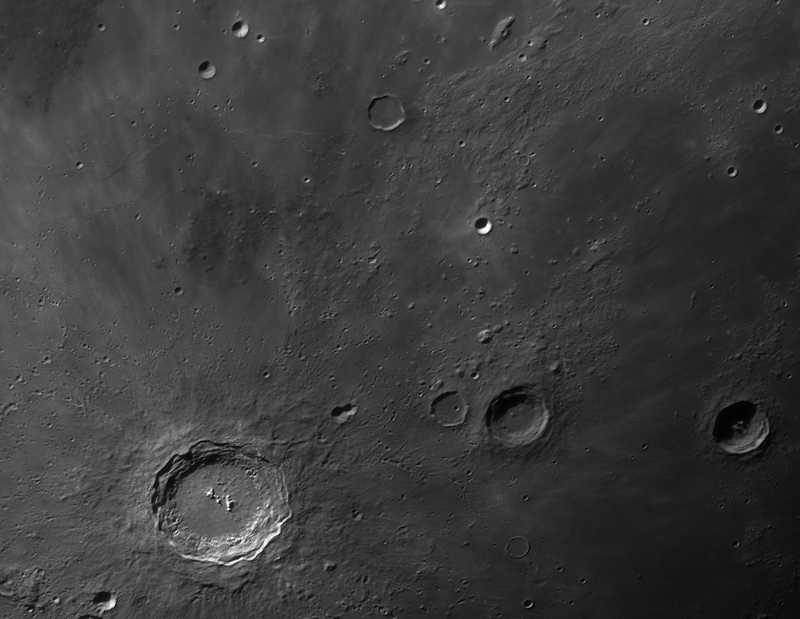 2000 mm by an Astro Physics barlow lens. 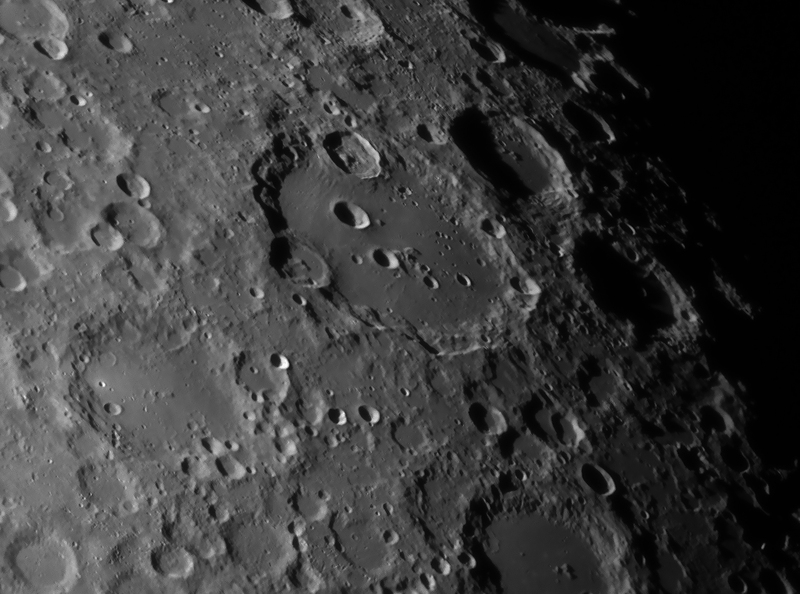 Thw images were captured with a Celestron SkyRis 445M camera and a Baader IR-Passfilter. 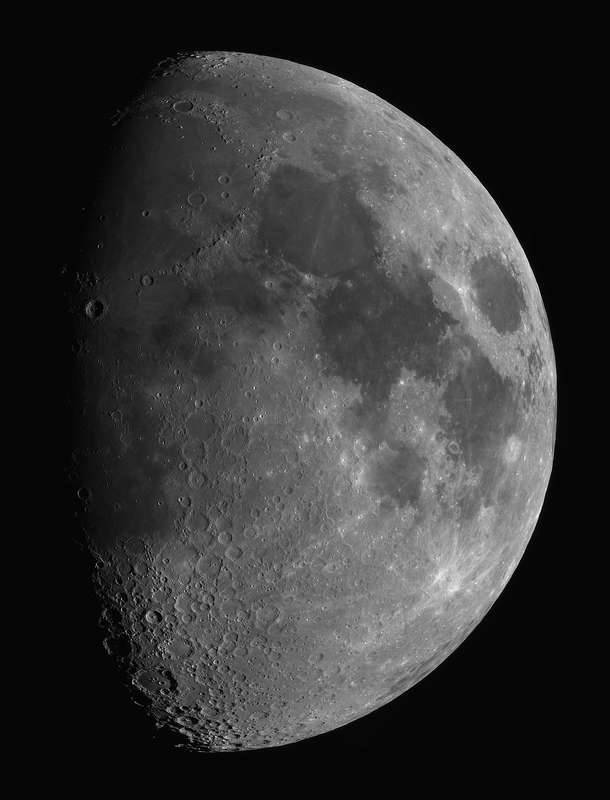 144 out of 1200 frames were stacked, processed in AviStack und Photoshop CS 2. The age of the Moon was 9.75 days, the illumination 78%. 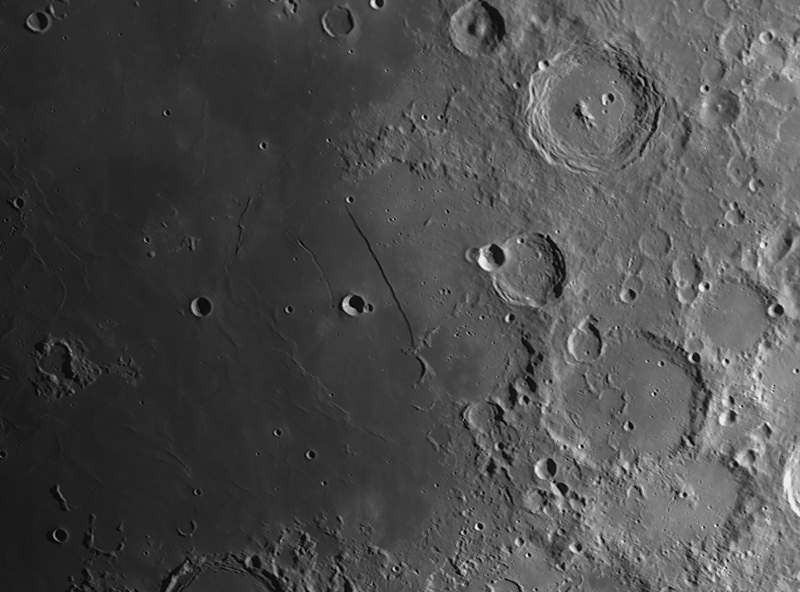 Following 10 detail images, captured with the 17" Planewave telescope. Moon and image data as above.Click on the images to load a large version. 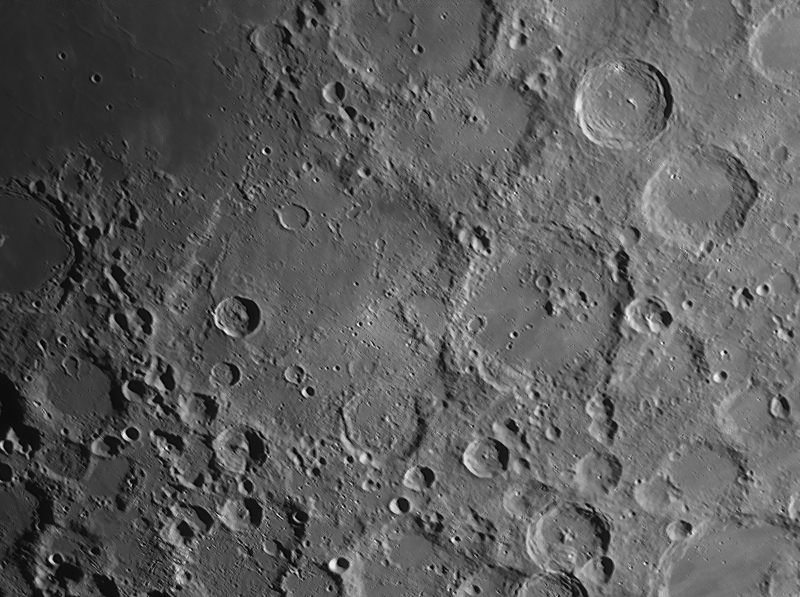 After finishing a new collimation of the secondary mirror we have taken some lucky images with a Celestron SkyRis 445M webcam, showing the high permormance of the Planewave optic. 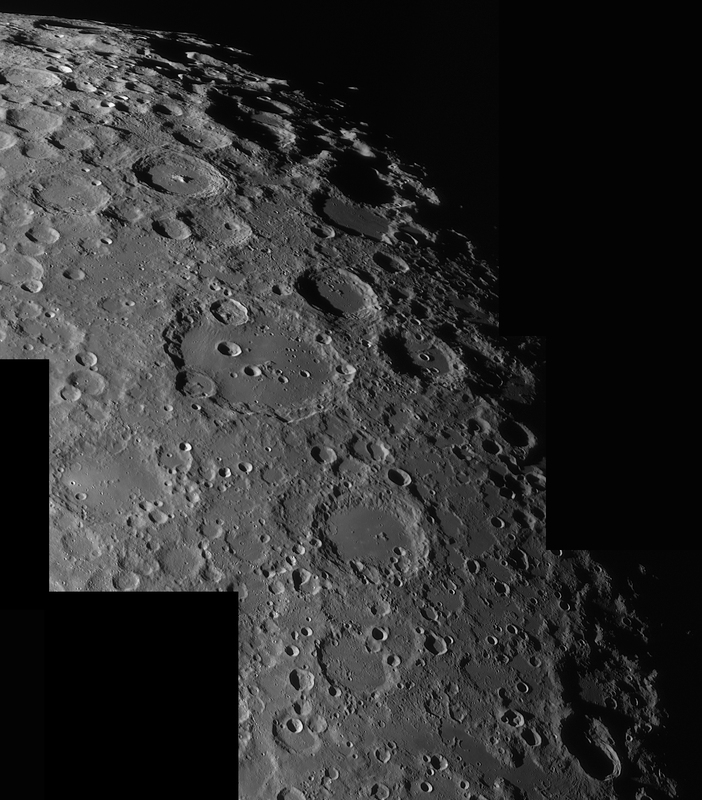 Click on the thumbnails of these mosaics to load high resolution images. 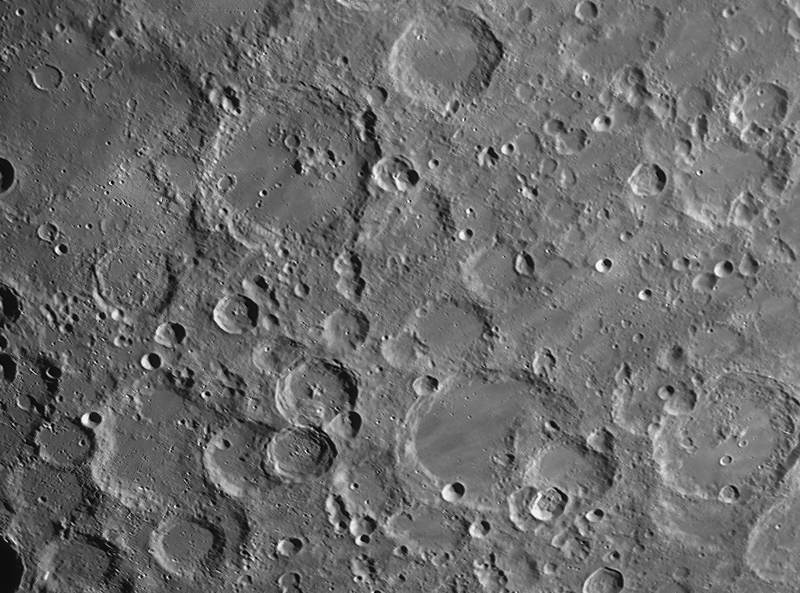 The right image was taken with a barlow lens (factor 1.5x) and shows a large field of lunar domes near the craters Milichius and Hortensius. 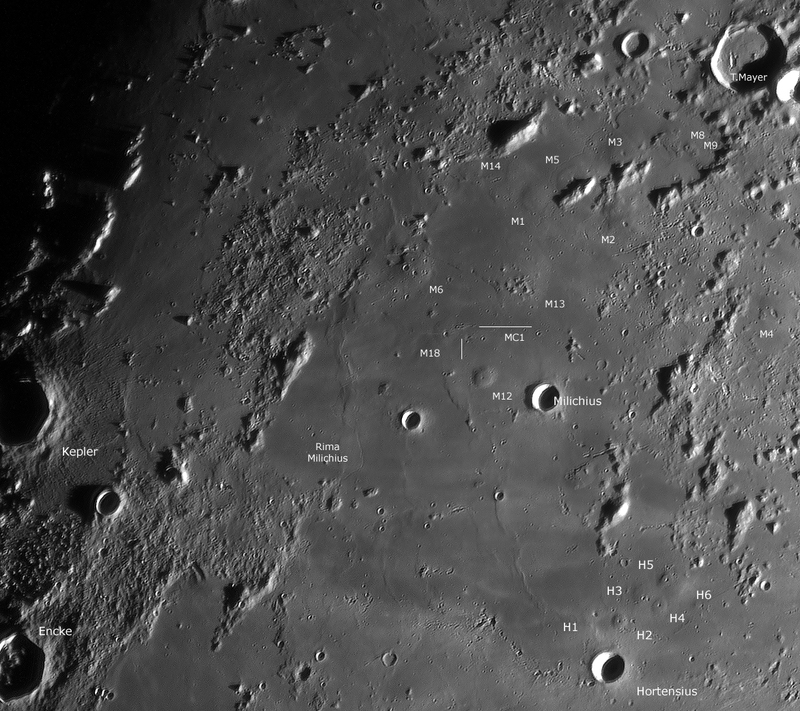 The image is a good example for the nearly scattered light free optics of the PlaneWave system, because the hight of these lunar domes are only about 250 meters. The diameter oft the dome pits is about 1 to 2 kilometers. 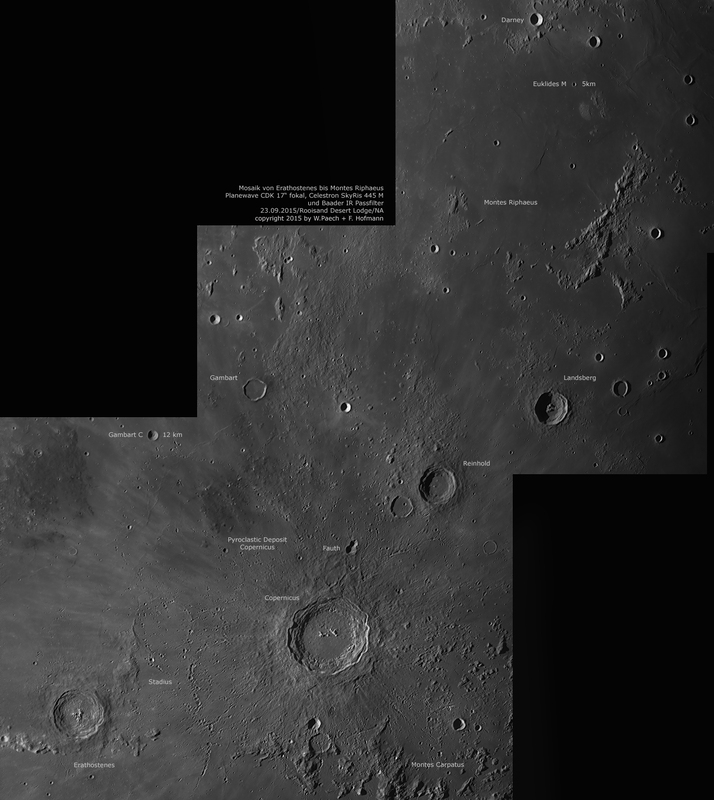 We have labeled some of the vulcanic features in this image, most of the domes show clearly summit pits. 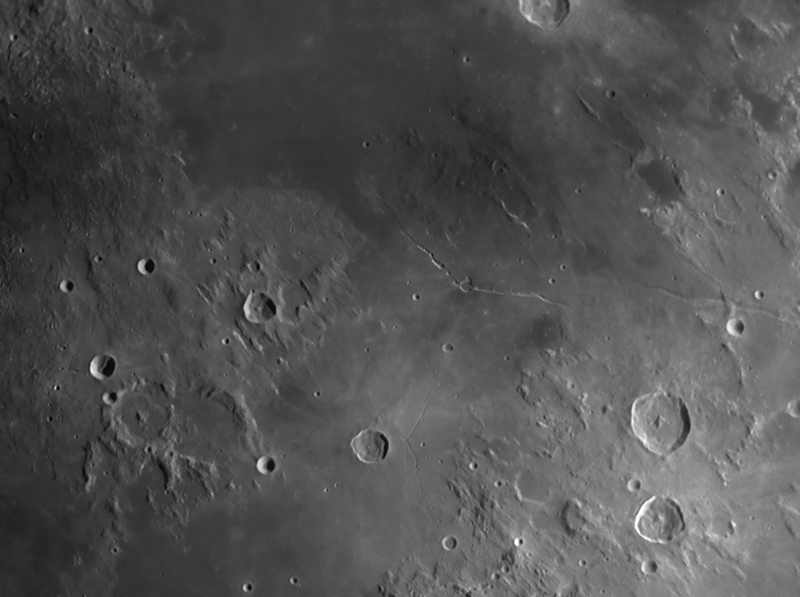 Near the domes M 3 and M 5 are lava flows and a very small sinusoidal rill visible (ancient lava flow). One more sinusoidal rill is Rima Milichius. 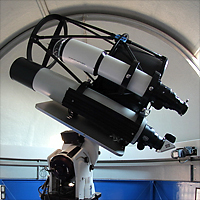 The dome M 18 has a diameter of about 12 kilometers with a height of only 90 meters. 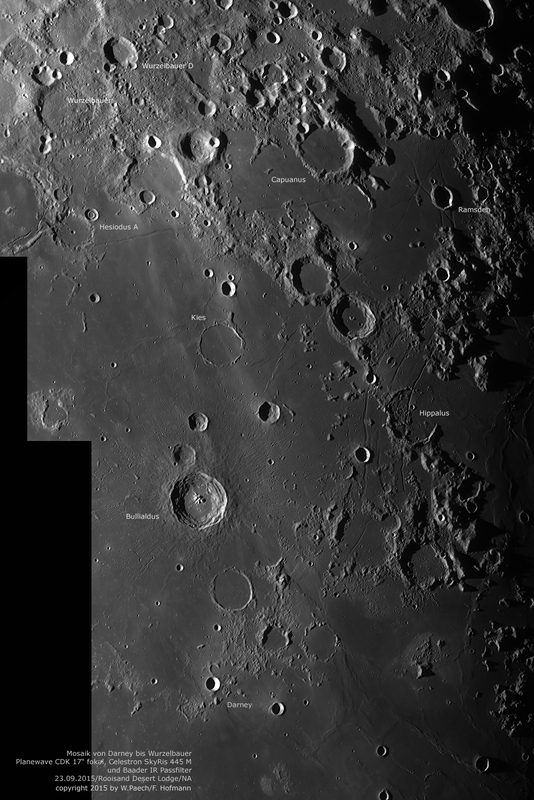 Nearby are lying two lunar cones (MC1), each about 1.5 kilometers in diameter with height about 60 meters. The lowest dome in the field with a heigt of about only 35 meters ist M 14. 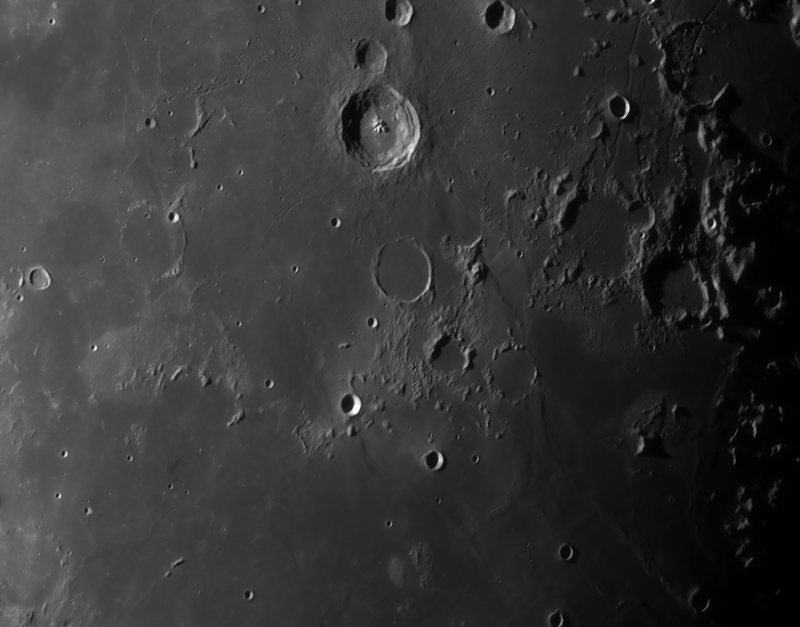 H1 - H6 are the Hortensius domes. Click on the thumbnail image right to see a large image.